Michael O’Donovan was the best speaker of the day! (As usual). 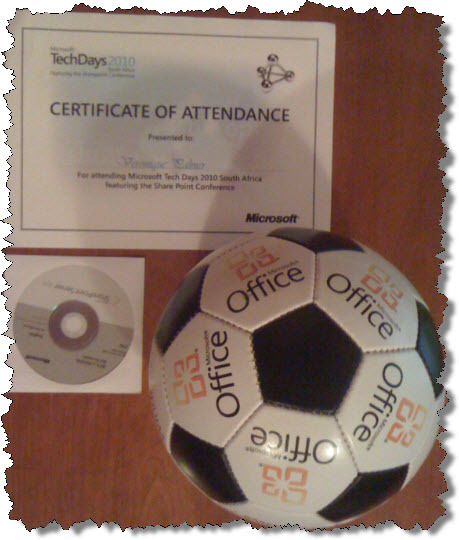 We got a cool soccer ball and SharePoint 2010 beta dvd, (just need a 8GB laptop now….). Lunch was outstanding! All the usual suspects were there and was fun to play catch up. For a change there was quite a lot of emphasis placed on the fact that what was shown was done using out of box configuration only, and no custom development. That was really refreshing and information we can take back to business. My biggest client was with me all day, so this was really great! (All that was missing was to specify which were Enterprise which were Standard Features driven, it make a huge difference to clients). 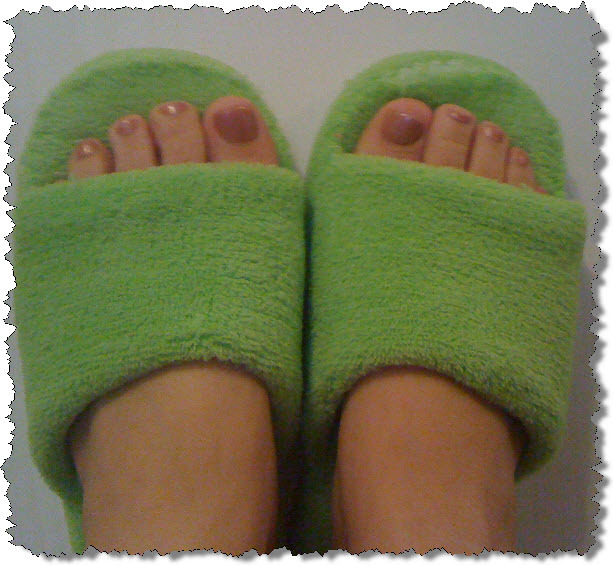 Loved the Intervate girls with their bright green slippers – and they immediately roped me into wearing them too. What a pleasure to walk around in slippers the whole day, the feet were very happy. Intervate were the first to build their website on SharePoint 2010! Good job Susan Reid!! How do you know if you’re in Redmond? If you’re lost in the fog and ask someone where you are, they’ll say “You’re in Redmond”. This is the difference between data and information. Data is ‘you’re in Redmond, in the fog’. Information is ‘you’re in Redmond; but to get to the place you need, turn left at the next stop, it’s the first building on the right, 3rd floor, room 12’. 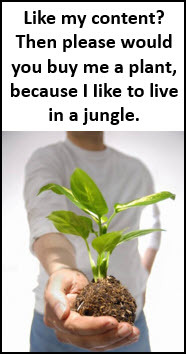 (Adapted from original story by Fred Baumhardt). Office 2010 had 7.5 million downloads and 1.3 million comments via Send a Smile. $1billion has been spent on a unified business platform. Gartner says there’s 125% increase in rich content in presentations, (videos, etc). New BI tools are designed to address 80% of the “spreadsheet hell” most companies face. SQL Server 2008 R2 was released yesterday, and made public at TechDays Jhb first! Best of breed approaches put a lot of pressure on IT because they have to make it all work. Research shows that people enter only 1 or 2 words at most when doing searches. Excel 2010 handles a million lines of data like they were 10. Validation is important to employees when it comes to social networking. They want to be seen as knowledgeable and to gain credit for contributions. SharePoint 2010 WorkSpace takes your whole site offline so you can work – and then only uploads the bits you’ve changed when you log back on again, (it’s called Delta Synchronisation). This will save a lot of bandwidth and time. Information is currently stuck in channels like email. Social networking allows you to redefine that and share information you were previously not privy to. Having to stand and eat a hot meal that required a knife and fork. The traffic to Sandton at that time of the morning – utter hell! Total lack of energy by the speakers, (except by Michael). That German Oompah Band music – aaaaarrggghhh! Last year’s sessions, speakers and venue were better. But this year’s after-party and food were better. See you next year anyway. Thanks Microsoft, agree with Francois, good value for R900! German Ooompah band – oh no! !